This is an illustration that Laura Hulka helped me come up with for my Bean’s Pat, my way of paying back all the reader awards my blog has received. What do you think? Is it a go? This is my 645th blog since I started my WordPress blogging journey with a blog called “Hello World” in November of 2009. I was taking that Gotham travel writing class I mentioned in my last two blogs, and the instructor said I needed to have a blog. That first year, I blogged about 10 times a month, mostly about the places I had visited as a full-time RV-er. Then in 2011, WordPress began its post-a-day challenge and I accepted. I’m so glad I did. . Writing daily has given me the voice that the first draft of my travel book needed, improved both my writing and thinking skills, and garnered me worldwide friends. At first I tried to disguise that I was an old broad when writing my blog, which was the same thing I did in the first draft of my book, “Travels with Maggie.” Maggie, as many of my readers know, was my canine traveling companion for eight years. She died earlier this year, and now I travel with an energetic, fun-loving Scottie mix named Pepper. Recently, as I continued blogging and struggling with the rewrite of my travel book, I realized that being an old broad was one of the best things I had going for me. It set me apart from all those young travel writers out there in search of love. It’s not that I have anything against such a search. I certainly did my share of that. But that’s not me today. The person I am today, and which is my voice, is that of a wondering/wandering old broad. It’s exactly what I do and who I am. I wonder a lot about things but seldom have answers to the questions. The only advice you’ll ever get from me is to live in the moment and take time to smell as many of life’s flowers as you can. I wonder if I would have ever recognized my true self without my daily blogging? Bean’s Pat: Baroness Trumpington http://tinyurl.com/br6r7p2 Not a blog but a newspaper story about a great old broad I admire. I think society underrates us old pussies, as Agatha Christie called Miss Marple and others of such an age. Bean’s Pat is one of the best features of your daily blog and it deserves its own graphic. The one proposed is a good one. I do wonder about the designation, Old Broad. It is OK to call yourself an old broad, of course, but I wonder how many admirers, enviers, and identifiers you have out there who are old broads themselves but don’t want to think of themselves that way. Not your responsibility, of course. Love the illustration for Bean’s Pat. Congrads on your writing milestone. Love the illustration, I see it working. 🙂 Congrads on the writing milestone. It was great to hear you say that you are not out there looking for love as some of the younger travelers. Before I found your blog I read several others from older women (such as ourselves) and they were filled with DRAMA about meeting men at RV parks and such. I too have no desire for that. There is nothing wrong with it, IF that is for you. But I’ve been there, done that and when I do begin to travel I only want to be responsible for my self and a wonderful dog I pick out for my travel buddy. My life has been full of relationships and they never worked out well (at least not for me). I want my later years to be relaxing; I want to do what I want, when I want to and have no one to answer to. There was a time in my younger years where I would freak if I was not in a relationship. Now I enjoy my own company just fine and I’m happy. So, thanks for that point. I enjoy reading stories of people with such great wisdom and ideas with their experiences. I had a good laugh, so true. Me too, re reading stories about people with wisdom and attitude. Glad to have made the point Joni. I couldn’t be happier with my current canine traveling partner, Pepper, and finally, with myself and who I have become. We all go through different stages in our life and I feel blessed to have survived them all, and doubly blessed to now be living the perfect life — for me. Everyone has to find what works for them, and it’s different for each of us. I’m especially thankful for all the friends I’ve picked up along the way, both men and women. Thank you Kay at http://funandmorebykay.wordpress.com for nominating me for the Super Sweet blog award. I�m not sure my blog qualifies as �sweet� but I�m grateful for any recognition a reader chooses to give me. To answer your questions I prefer cookies over cake, chocolate over vanilla, and ice cream over any other kind of dessert. I want sweets mostly when I�m tired or stressed and I�ve actually been called Jelly Bean. 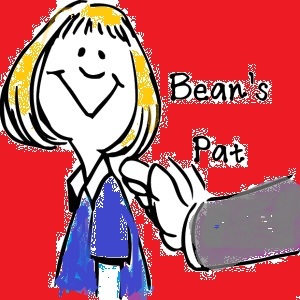 My Bean�s Pat is my daily way of paying back very kind readers like yourself. Thank you for following my journey. Thanks Robin. 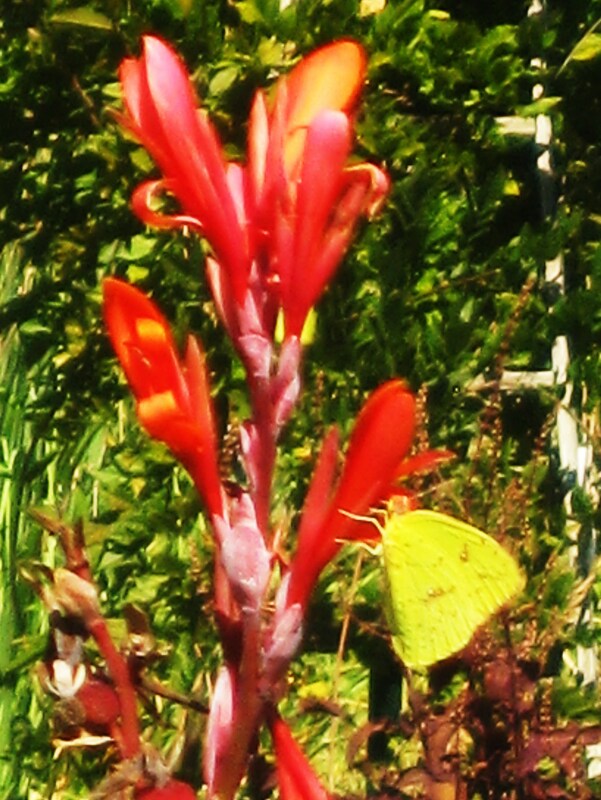 I do so love your photos, and appreciate you following me on my journey. Good luck on the writing.